The Conservative Party is really tying itself in knots over this. Apparently the plan is to flood the House of Lords with new members if those already there oppose Theresa May’s plan for an unscrutinised exit from the European Union. She doesn’t want anybody in the House of Commons to have a chance to veto any secret agreement her Brexiteer minister make, and she doesn’t want the Lords to block it either. But this puts Mrs May in an extremely difficult position with regard to another policy of hers – the plan to gerrymander Commons constituency boundaries by cutting the number of seats to 600 and giving Conservatives an advantage in elections by doing so. Her pretext for doing so is that the cost of democracy is too high and it will save millions of pounds. But the House of Lords currently has 812 members, not counting those who are on leave for one reason or another. Between February 2014 and January 2015 each of them took home an average of £25,826 of public money, tax-free. Net operating cost of the House of Lords in 2013-14 was £93.1 million, or around £118,000 per peer. So, the Tories have 256 peers at the moment, who are outnumbered by 556 from other parties, the Church, or who are non-aligned. They would need to create at least 301 new peers in order to ensure their plans are carried to fruition – at a cost of at least £118,000 per year, each. Any saving on boundary changes would be wiped out completely. So the argument that Theresa May will save money must fall. But take note: The money would not be going to MPs, some of whom belong to other parties. It would be going to Conservatives. So it seems likely that they will go through with it, no matter that their argument is wrong. A leading cabinet minister has warned the House of Lords that its future is at risk if it tries to block Brexit. The senior figure said the government may have to “do a Lloyd George” and flood the upper House with friendly peers if those already there undermine the drive to implement the EU referendum result. Some Tories in the Lords, where Conservatives are in a minority, have demanded Theresa May let Parliament vote on her preferred Brexit deal before talks with the EU begin. If she refuses, they have threatened to stymie other pieces of legislation the government needs to pass through the Lords to make Brexit happen. 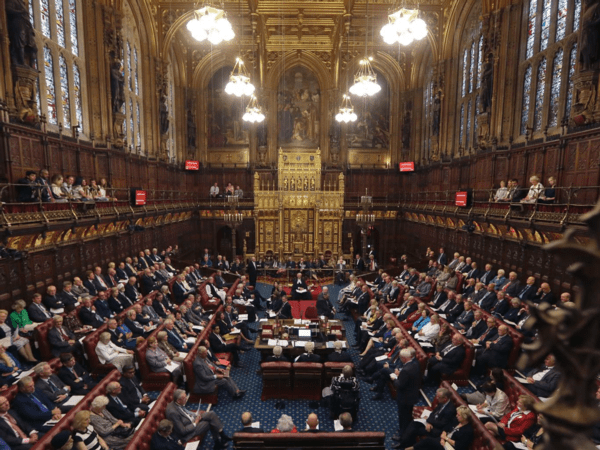 One Tory peer has told The Independent: “There are people who are worried that if the Lords pushes back on this, it could be the end of the Lords. Der farce continues…Tories have no intention of EXITING dirty EU! There was a legal and binding referendum if either house votes against it there could be massive civil unrest, and when all is said and done the M.P.’s have already had a vote, the same time as the rest of us., and it is the lower house that has the eventual say not the upper one. “Legal and binding”? Referenda are only advisory, Barry. That has been made perfectly clear. Legally, Parliament must ratify the choice. The nasty party will not hesitate to squander public money if they think it might give them an iota of electoral advantage. The Referendum was not party political and the result was not achieved along party political lines, therefore, the negotiations must go the same way. The Tories must do what is in the best interests of the people of the nation, given those parameters and if that means having to concede on issues of which others have greater knowledge, deferring to others, who have concerns then so be it. The referendum result was for the U.K. to cease its membership of the European Union political institution. Given that this is a first and the person ho responsible for the referendum had no exit strategy, we are not best placed to do anything hastily, nor is it advisable. Too many cooks may spoil the broth but many heads are often better than one. A consultation, at the very least, would involve M.P.s etc. and give the Prime Minister a series of options. I think her foolish not to seize the opportunity to draw on the experience of others. It would calm the House and benefit her but what do I know?